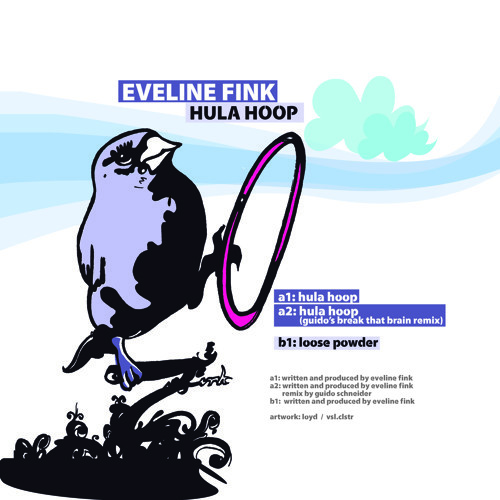 We are proud to present Eveline Fink`s Debut EP „Hula Hoop”. With “Hula Hoop” and “Loose Powder” we get to experience two perfectly arranged grooving swinging tracks. You really feel that she has injected her own personal energy and charm into these tracks, they fully deserve their place on “enough!”. The Hula Hoop Remix by Guido Schneider maintains all the power and genius of his earlier works and delivers what we expect of him. This EP is one of a kind and a definite must for all music lovers; it is so special in fact that it may warrant its own little space in music land. But I guess you the listener will decide this. Buy Hula Hoop (Guido Schneider´s Break That Brain Remix) OUT NOW! Users who like Hula Hoop (Guido Schneider´s Break That Brain Remix) OUT NOW! Users who reposted Hula Hoop (Guido Schneider´s Break That Brain Remix) OUT NOW! Playlists containing Hula Hoop (Guido Schneider´s Break That Brain Remix) OUT NOW! More tracks like Hula Hoop (Guido Schneider´s Break That Brain Remix) OUT NOW!